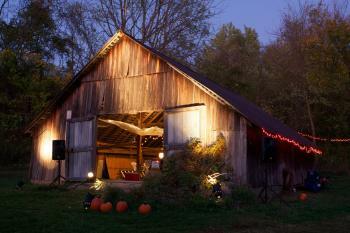 Autumn is a fantastic time to visit Hendricks County. The brilliant colors and natural beauty of fall lends itself to all sorts of family-friendly activities, and this weekend, there are a ton of events throughout the county to get people outdoors for some fall fun. Runners and walkers, kick off the weekend at McCloud Nature Park outside of North Salem on Saturday at 9 a.m. with the Fall Colors Run. Enjoy a one-mile, 5K or 10K course along the McCloud trails, surrounded by the colorful fall foliage that makes the park one of the premier spots in Indiana to visit in the fall. All participants will earn themselves a commemorative winter hat and can enjoy refreshments around the campfire afterward. For more information, including how to register for the Fall Colors Run, click here. Immediately following the Fall Colors Run (or from 10 a.m. to 4 p.m. on Saturday, if you&apos;re not a runner or walker), the Fall Colors Festival takes place at McCloud Nature Park, featuring all sorts of activities for the whole family. 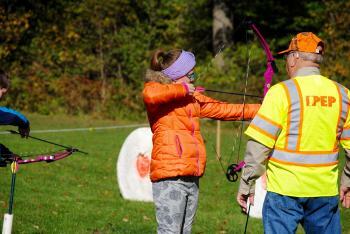 Enjoy some archery, learn how to throw an atlatl (an ancient hunting weapon), climb a tree, find some peace through yoga, decorate a pumpkin, make a candle, tackle the heron-themed McCloud Prairie Maze, go on a hayride, play some yard games and much more. The Fall Colors Festival -- and the vast majority of its activities -- is absolutely free to attend. For everything you need to know about the festival, click here. You haven&apos;t done fall in Hendricks County if you haven&apos;t been to Beasley&apos;s Orchard in Danville. 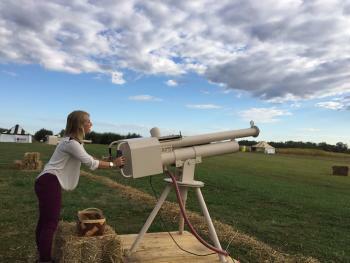 From 10 a.m. to 6 p.m. on Saturday and Sunday, enjoy the Minions-themed Beasley&apos;s Corn Maze, go on a hayride out to the pumpkin patch and pick your own pumpkin, pick apples fresh off of the trees, and fire apples through an air compression cannon! Additionally, Beasley&apos;s offers a huge Barnyard Bonanza area where kids and adults can bounce on a giant jumping pillow, navigate the spider web climber, play some tether ball and corn hole and much more. If you are a police officer, firefighter, paramedic or active member of the U.S. military, this is a great weekend to head out to Beasley&apos;s. The weekend theme is Hometown Hereos, and they are offering discounts to first responders and their families. For more information about Beasley&apos;s Orchard, click here. On Saturday from 5 to 6:45 p.m., bring your kids out to the Danville Athletic Club (or "the DAC," as it&apos;s commonly referred to around here), for some trick-or-treating, games, and prizes. Additionally, there is a costume contest in three age categories -- 0 to 3, 4 to 7, and 8 to 12 -- so get those Halloween costumes together! This event is free to attend. Also during those hours, Danville Parks & Recreation will have the lights on inside Haunted Hargrave Hall for the little ones who don&apos;t wish to see their young lives flash before their eyes. 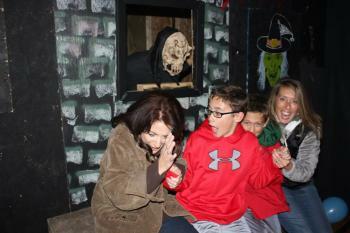 If the kiddos want to explore the haunted house with the lights on, it&apos;s a mere $3 per person. Candy and prizes will be given away throughout the non-scary adventure. From 7 to 11 p.m. on Saturday, however, it&apos;s lights off and game on inside Haunted Hargrave Hall! Prepare for your heart to jump into your throat and the adrenaline to course through your veins for just $7 per person at the door (or purchase a fast pass for $12 at the door and skip the lines!). Save some money by purchasing your tickets online at least a day ahead of time for $5 per person or $10 for a fast pass. To learn more, including how to order tickets online, click here. The final night of the Nehemiah Ranch Fall Harvest Days in Avon is Saturday from 6 to 10 p.m., and this is an event that my family has really enjoyed in the past. Nehemiah Ranch is tucked away in the woods and instantly transports its visitors from the hustle and bustle of daily life to the serenity of nature. Fall Harvest Days allow families to roast hot dogs and make s&apos;mores around a campfire, take a free hayride, pick your own pumpkin (kids ages 12 and under), listen to some live music and sip hot cocoa. All of it is free to enjoy. Freewill donations are accepted. To read about my family&apos;s experience there a couple years ago, click here. I merely touched on the tip of the leaf when it comes to all the great fall activities taking place in Hendricks County, where Fall Break lasts all season long. For our guide to even more fall fun, click here or check out the Visit Hendricks County Events Calendar.